Now and then an audio product comes along that makes your jaw drop when you see it and hear it. 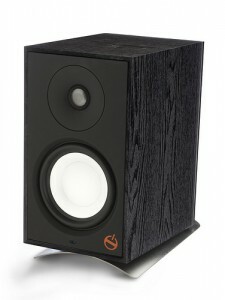 The Paradigm A2 bi-amplified speaker clearly falls under this category! 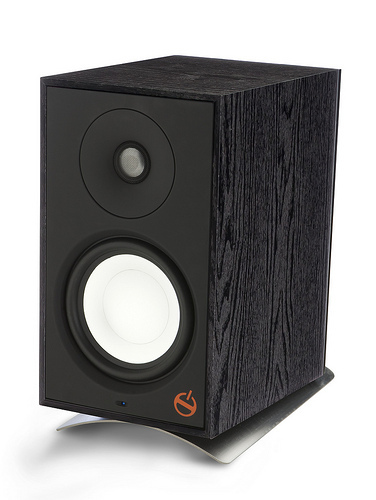 Physically resembling the classic Paradigm Atom Monitor, the self-powered A2 exhibits dynamic range and bass response you would normally experience only with much larger speakers. We have the A2 set up in our showroom connected to the Cambridge Audio ID 100 digital iPod dock and the Cambridge Audio DAC MAGIC PLUS digital-to-analog converter (DAC). This DAC includes a headphone amp and volume control. The ID 100 dock allows you to bypass the internal DAC in your iPod, iPhone or iPad and sends the digital signal to the DAC MAGIC PLUS for digital to analog conversion. Volume control is provided by the DAC MAGIC PLUS, as the preamp level signal is sent directly into the self-powered A2 speaker. Three small components create one big sound! There are many ways to utilize the versatility of the A2. The built-in amplifiers allow direct connection to an iPhone, computer, preamplifier or television (analog only). Wireless streaming can be accomplished with an Airport Express or Squeezebox connected directly into the speaker. The A2 can also be used with a guitar or keyboard. Very impressive sound comes out of a single A2, but add as many as you want for more sound. Please stop by and check it out.